Jeffrey Cyr is currently living in South Carolina, working as a Www.meetyourstylist.com in "Freedom35 LLC" and is interested in Advertising & Media. 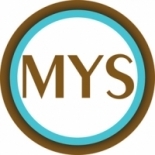 Meetyourstylist.com was created as a marketing tool for all Salon and Day Spa owners, as well as stylists and cosmetologists throughout the country. It\&#039;s been designed to give them a competitive edge by providing the tools necessary to create their own personal web page accessible through a comprehensive online database network, viewed daily nationwide. This profile is owned by Jeffrey Cyr. Send a message to this person to delete this profile.